Leahy Art Gallery and Custom Framing features oils, watercolors, drawings, etching and prints by local artist, Jim Leahy. Coastal scenery, night-scapes, and life in the South East are favorite subject matter for Jim and his work. The gallery features a full-service, in-house frame shop. Also, Jim personally offers pick up, in-home framing consultation, delivery and installation of all framed pieces at no charge, within the greater Savannah area. Art placement and installation services are also offered. 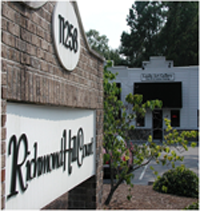 Call Jim at 912.727.5330 to schedule an appointment in your home or business or visit his gallery at 1158 Ford Avenue in Richmond Hill, across from the Ford Plantation in Richmond Hill Court.